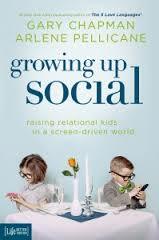 Growing Up Social by Gary Chapman and Arlene Pellicane | Happy Home Ed. In this digital age, children are spending more and more time interacting with a screen rather than a parent. Technology has the potential to add value to our families, but it can also erode a sense of togetherness and hinder a child’s emotional growth. 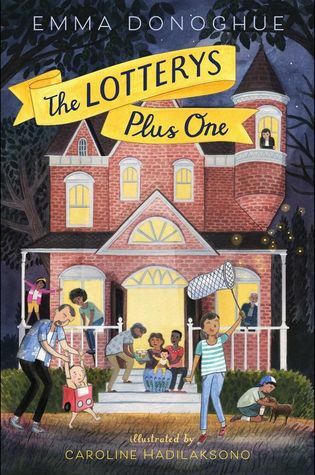 In Growing Up Social: Raising Relational Kids in a Screen-Driven World, you’ll learn how to take back your home from an over-dependence on screens. Discover the five A+ skills needed to give your child the relational edge in a screen-driven world: affection, appreciation, anger management, apology, and attention. Today’s screens aren’t just in our living rooms; they are in our pockets. Now is the time to equip your child to live with screen time, not for screen time. Gary Chapman is the author of The Five Love Languages, which I haven’t yet read, but which has been recommended to me more than once. There’s a chapter explaining the “five love languages” included here and I found that really useful. Much of the book is common sense, but it certainly reaffirmed my wish for us all to spend less time staring at screens. While both Harry and Joe spend a lot of time on screens, I do think they learn a lot from the stuff they do (particularly Minecraft), but it had started to bother me how reluctant they were to ever do anything without screens. I totally understand, because I’m pretty screen-obsessed myself. Thanks so much for reviewing the book! The split days idea sounds neat. Hi Arlene! Thanks for commenting.